The museum provides a unique way to explore the transport heritage so closely linked to the history of the city, and makes for a great day out with children. 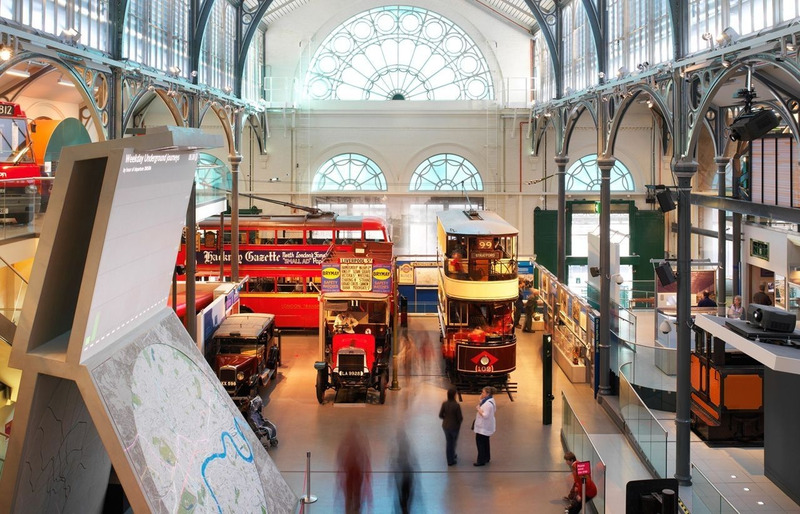 The London Transport Museum in Covent Garden seeks to display and explain the history of London Transport up the present day. Located in the iron and glass structure formerly home to the Covent Garden fruit and flower market, the Museum takes you back to the atmosphere of Victorian London, a crucial and dynamic moment for the City's Transport. Even though the museum might sound rather dull, it is in fact far from it. It has a wonderful collection of vehicles - trolleybuses, tram, trains and other rail vehicles - used for public transport dating back to 1866. The museum provides a unique way to explore the transport heritage so closely linked to the history of the city, and makes for a great day out with children. The museum shop is the ideal place to find cool souvenirs, posters and photos. Covent Garden Piazza, WC2E 7BB. Monday-Thursday, Saturday and Sunday 10:00-18:00, Friday 11:00-18:00.